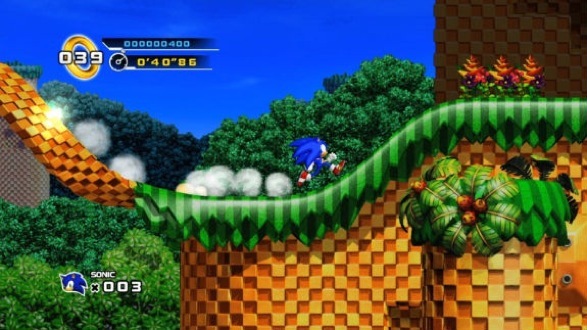 Sega has confirmed to Strategy Informer that Sonic the Hedgehog: Episode 1 will hit PSN and XBLA on October 13th after XboxUK hypeman Dom Carey (by the way, Dom is a solid name) tweeted out an Oct. 13th release date for Xbox 360. Good job to Strategy Informer for getting all the facts straight. XBLA will be priced at 1200 MS points and $14.99 on PSN (convert it yourselves commie bastards). How excited are you for this game? I had an opportunity to play it at Pax and passed on it. Speed has never been my thing. I even hate swinging. What if the person next to you swings into you? Those chains can leave deep bruises and rope burns are worse! 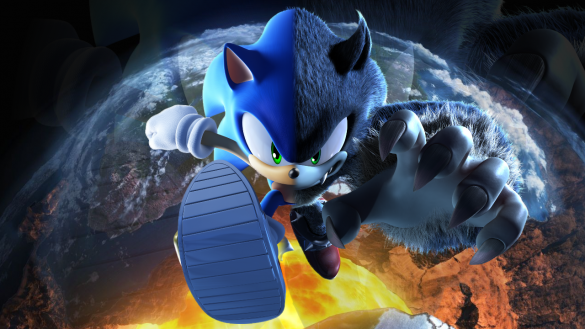 I’m sure I’ll brush into Sonic 4 sometime soon enough though. Guys around here are kind of enthusiastic about it. P.S. Do any gals read us? If so, we’ll throw a charity date auction. All proceeds to go to Kris Knigge’s first date fund. IGN also have the rest of the dates. The Wii/iPhone dates are apparently before the XBLA ones. Sounds like the iPhone version will be out next week. I didn’t really want it to be my first experience with Sonic 4 but there’s no way I’m not going to download and play it right away. @Alex Riggen – Well, at least the iPhone version will cost less. That’s a first that XBLA is last to release a big download title. Fifteen bucks, though? That’s pretty steep. It’s no problem if that’s the whole game, but considering this is just the first “Episode” of many, that could add up. Plus, the fact that SEGA has hinted that down the line the full package could come out as a physical game also has me wanting to wait. Damn you, SEGA, why are you doing this to me!? Barbatsis, I’m going to eat you through the internet. Also, can’t wait! I’ll be getting the PS3 version. Too bad XBLA is last. The suspense is killing me! How is $15 steep? Let’s assume they follow everyone else’s lead and release a full game in three parts. That will be $45 in total. An average 360 game, like say Dante’s Inferno, is something like $60. So a full Sonic 2D game, minus the physical media, will be $45. A piece of crap that attacks literature, good taste, and the average I.Q. of Western civilization complete with Physical media is $60. Basically, they are charging an extra $15 for the case, DVD, and book. I’d pay the extra $15 for those things, but hardly think $45 without them is steep. Full games like Sonic Adventure, Castlevania Symphony of the Night, After Burner Climax, Mega Man, etc. are all much cheaper than even one episode of Sonic 4. How many other DLC exclusives work out to $45 other than the retail games for download that nobody buys? If it’s a full retail release for $45 then I can accept that, because there’s a physical copy that you can have forever. You never know with DLC, and considering the pricing of comparable DLC titles, it’s way on the high end. At that price I definitely won’t be an early adopter. And a library book is $0. And a boxed Atari 7800 game is $5. As the guy from Spiderweb software says, you can’t compete with the prices of old games, or games that are sold too cheap by crazy people. People think download games should be priced at stupid prices because companies like MS have set dumb pricing schemes. You think $15 is a lot because they have spent two generations using download games as loss leaders on Live. The actual prices they will settle on shortly now that they are established will not be as generous. Someone on another board I go to said Sega confirmed that episode one would have 4 zones, with three stages to a zone, and one boss to a zone, as well as 7 special stages. That would be 12 levels, with four bosses, plus the bonus stages, with achievements and leaderboards likely for the 360 version. That’s probably $15 worth of content. That would also seem to make it a Sonic 3 & Knuckles deal, with the game coming in two parts. I hope they add Knuckles in epsiode 2, along with the ability to play Episode 1 as him. My nostalgia metre would be on full at that point.